You’ve might seen pro players run around with some funny looking vests during their practices or matches, and thought why and what. The vest they are using is combined with a GPS tracker, which allows the clubs to measure the player’s performance, and now you can measure your own performance as well! Have you always wanted to know if you sprint as fast as Ronaldo, or if you’re a more controlled midfielder and stay around the circle as Pirlo? This is now possible! Combine the SmartVest and SmartPod and start tracking your performance. 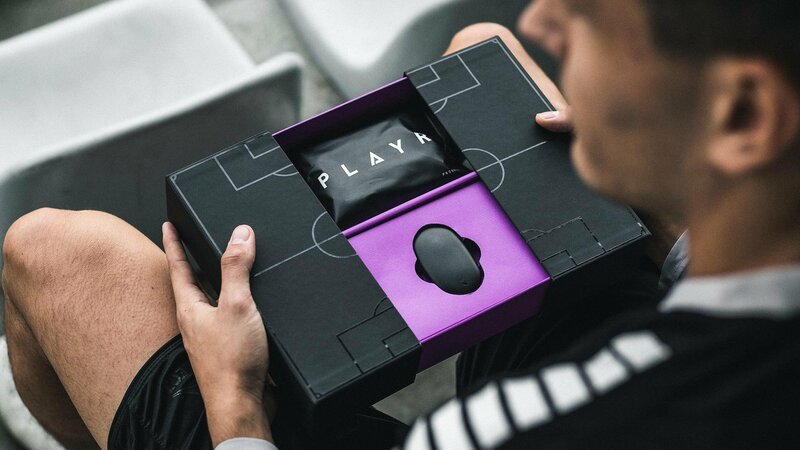 The PLAYR combines the latest GPS player tracking with personalised sports science, with one purpose: Improving your performance. This is your chance to play like a pro! The PLAYR consists of two units, which is the SmartVest and SmartPod. The SmartPod combines a GPS tracker, that is FIFA-approved, with the latest sports tracking advancements. The SmartPod is so smart, that you don’t even have to turn it on. It has an auto-detect technology, which will activate the SmartPod, and it will seamlessly synchronise collect data with your phone, so you can get a full overview and understandment of your game. The SmartVest is made with a slot on the back for the SmartPod, and is made from a breathable, durable material, which is based on the design of the vests that the pro’s use, to offer you a comfortable fit. This means, that you can wear the SmartVest on bare skin, or above a shirt, without it giving you any restrictions in your game. Seems and feel quite nice! When reading this you might think ‘it’s just a GPS that collects some few data’. But actually, it’s more than just a GPS tracker. You get a full overview on how your run, where you run and what you can do better. The PLAYR app offers stats that matter and heat maps, that shows you where you’ve been on the pitch during a match, and in which areas you’ve ran the most. Have you ever wondered how good Ronaldo, Kane, Griezmann or any other pro player is, and how their performances are during a game? Well, now you can also compare your stats with the pro’s, so you can see if you are running just as much as Ronaldo, or if you are lone wolf on the top waiting to score the needed goals, just like Diego Costa. All of this is available through the PLAYR app, and you can even compare with your friends to find out who the best is, and who is the laziest. As an extra bonus feature, the built-in SmartCoach also allows you to get Premier League expert advices on how to prepare better towards training or matches, and how to recover faster, so you can go out for another training together with the PLAYR. But how do you trust on this device working? Well it will maybe make you calmer knowing that more than 1800 elite teams, cross sports, are using the products and some mentionable clubs are Tottenham, Real Madrid and Atletico Madrid. Want to train with style, and play like a pro? Then get your PLAYR at Unisport right here.